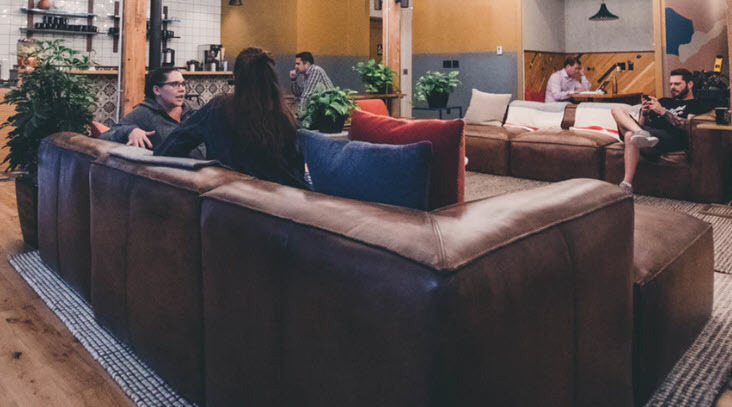 People on couches have become a common scene in specialty coffee shops around the country, even in settings much more modern than Central Perk in Friends. Some say this "home-away-from home" vibe was strongly influenced by the popular TV show. I’m not sure how the six cast members of Friends (1994-2004) always managed to get a seat on the couch in Central Perk cafe, but you know -- Hollywood! 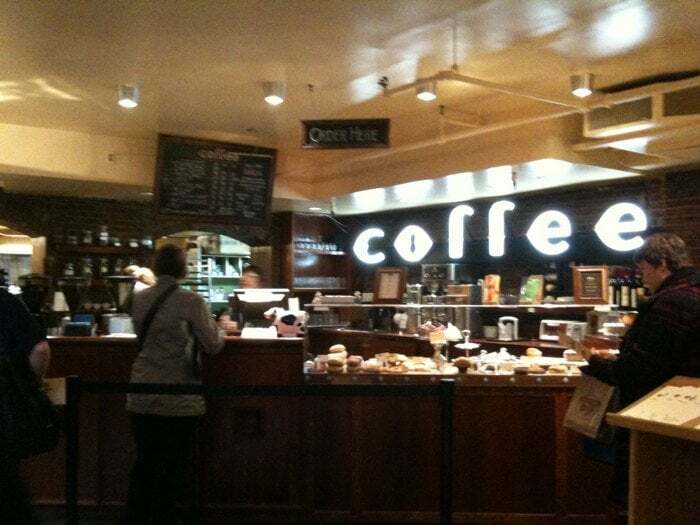 Located in Greenwich Village near Monica’s apartment, Central Perk was the protagonist’s main hang-out. 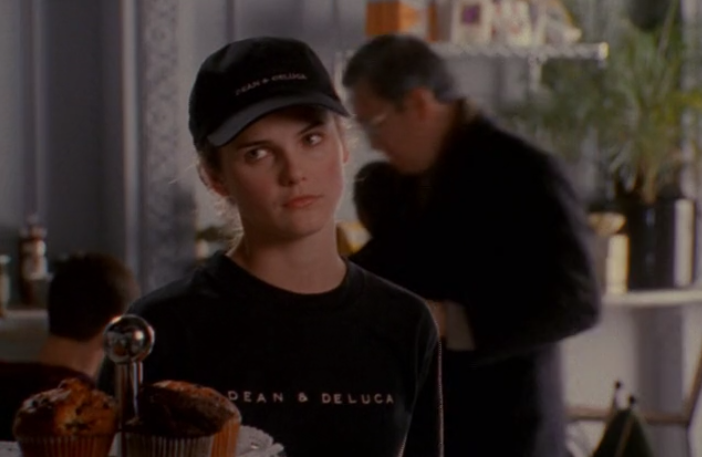 With the amount of time they spent there at all times of the day, I often wondered if any of them had jobs – except for Rachel, whom we see (terribly) covering her shifts and serving up giant lattes there as a waitress for several episodes, always complaining and locking down the enduring affection of the café’s manager, Gunther. Another image integral to Central Perk culture was Phoebe Buffay strumming her guitar and singing songs like “Smelly Cat” to bemused customers. In 2014, Warner Bros. teamed up with Eight o’ Clock Coffee to celebrate the 20-year anniversary of Friends with a pop-up replica of Central Perk in the SoHo district of Manhattan, and gave out free coffee for a month. They named the day, “The One With the Free Coffee.” If you’re sad you missed it (where HAVE you been?! ), I have good news: there’s a rumor on the wind that as of 2018, Warner Bros. has secured the legal right to turn the Friends’ hangout into a real brick and mortar shop. Caffeinated super-fans may be in luck yet! Unfortunately, the Elliot Bay Café has since been replaced by Little Oddfellows Cafe and an all-white color scheme, but you can drown your sorrows in a quirky book based on the café by the brothers themselves, Fraiser and Niles Crane: Cafe' Nervosa: The Connoisseur's Cookbook. There you'll find “witty conversations between the characters of the Frasier television series” that “accompany recipes for breads, sandwiches, coffee-based beverages, and desserts.” It’s gotten pretty good reviews on Amazon! Let us know if you visit any of these famous TV coffee shops … better yet, take a picture of your Koffee Kompanions Kup Kollar or Kup Kap at the location, send it to us, and we’ll send you a discount coupon for another of our quality, Thinsulate-insulated products! I recently read an article whose author lamented that Millennials have killed the “hangout sitcoms” like Friends, Cheers, and Seinfeld – that technology has made dishing face-to-face over lattes and beers passé. There may be something in this thought because I couldn’t find many newer TV shows that feature coffee shop hangouts. Do you have any I’m missing? Any more iconic TV coffee shops and diners of the past? Drop them in the comments below!